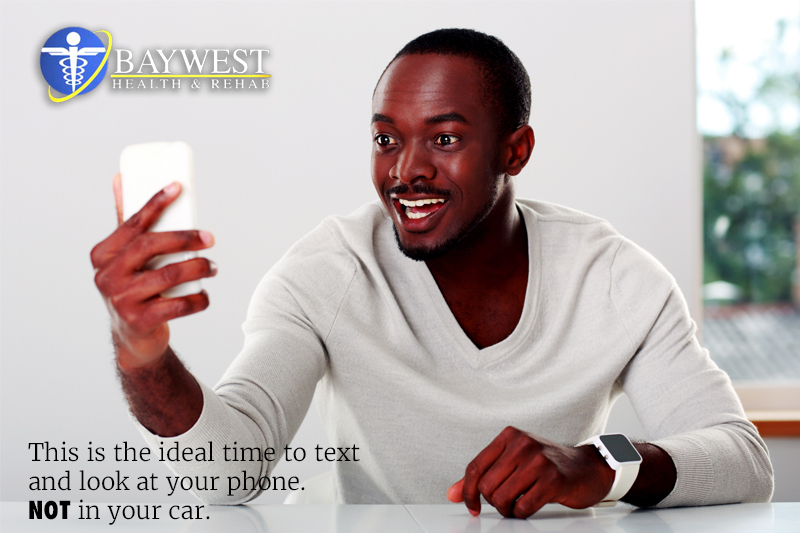 1) According to the National Safety Council texting while driving contributes up to 1.6 million crashes per year. 2) Statistics from the Harvard Center for Risk Analysis Study show that it causes up to 330,000 injuries per year. Although many agree that texting while driving is unsafe, they say this is a culture that is difficult to do away with. Many people find it difficult to keep the phones out of their hands even for just ten minutes. So what do people find the urge to check out their phones even while behind the wheel? • People will always feel the need to go through their emails every now and then, send out texts, emojis and so on. A majority of the population is affected by this behavior; it is not only the young but the old too. Studies have found most people to acknowledge that it is difficult to shake of this behavior. And that what starts just as innocent darting glances at a post or message grows up to pose a big risk to both the drivers and pedestrians. The bad thing is that some people feel they are experts and the rules to be followed while driving cannot apply to them. But according to the recent statistics, the highway doesn’t care so people should believe that anything bad can happen to them if they text while driving. Accidents related to distracted drivers resulted in 3154 deaths and 424,000 injured people due to crashes in 2013 in the United States. The latest finding shows that the number of people who are texting while driving exceeds those who are drunk driving so you can imagine the danger facing us. Being safe on the road will start with us, it is our own initiative because the dangers involved with intoxicated driving are real. What can we do to shake off this trend? We all can mend our driving habits, this article helps to point out that it should be our own initiative and that we do not have a choice given the disturbing statistics.